Club Finals weekend was held in glorious weather, with the green in fine free-running mode. 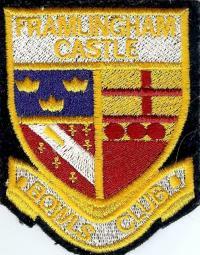 Welcome to the website of Framlingham Castle Bowls Club, a long established member of the Suffolk bowling community. Situated under the walls of Framlingham Castle, a 12th century fortress maintained by English Heritage, the green and its surroundings are owned and maintained by the members. We are frequently visited by touring sides, and, once they have been, they make a point of returning when they are next in Suffolk, for the quality of the green and its setting, as well as the friendly welcome that they receive. We welcome members from all walks of life, both male and female, whether they are interested in competitive bowling, or just friendly roll-ups, newcomers or experienced bowlers. We would like to increase the number of young bowlers, and would warmly welcome any young people who are interested. We have a good sized clubhouse, with a well-stocked bar, excellent kitchen facilities, and ladies’ and gentlemen’s changing rooms. This clubhouse has undergone several improvements in the last few years, all carried out by the members, and we are always looking to make further improvements whenever we can.